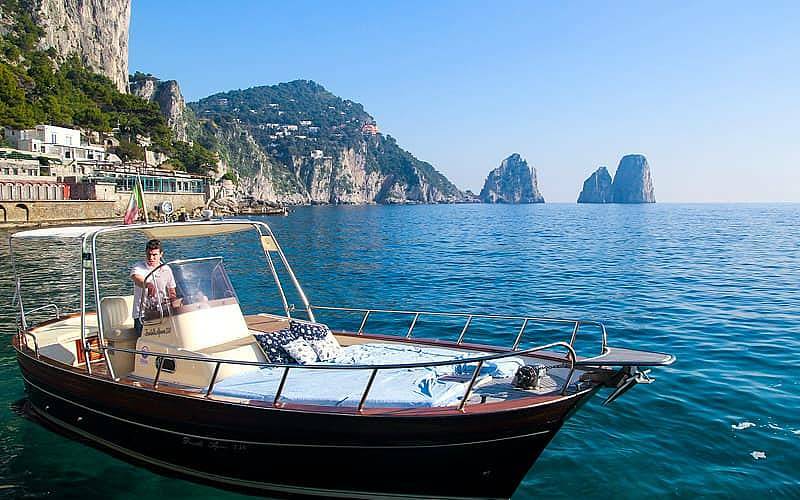 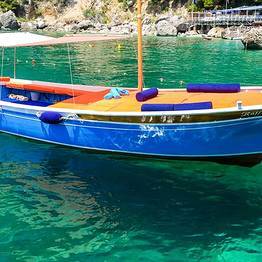 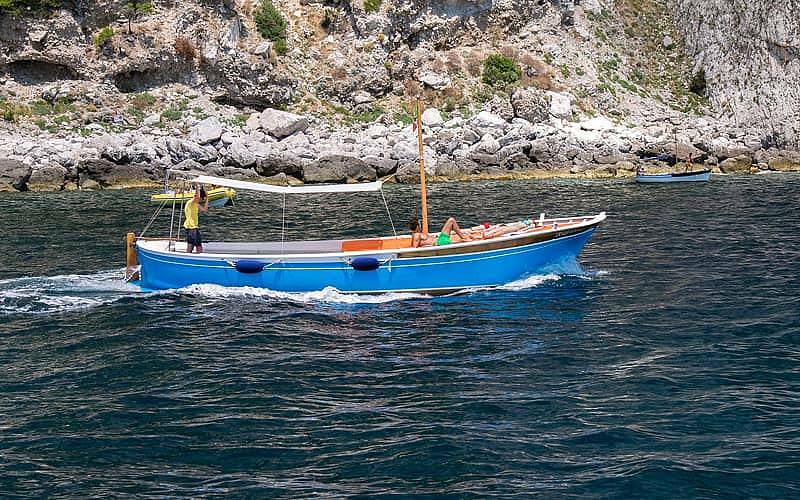 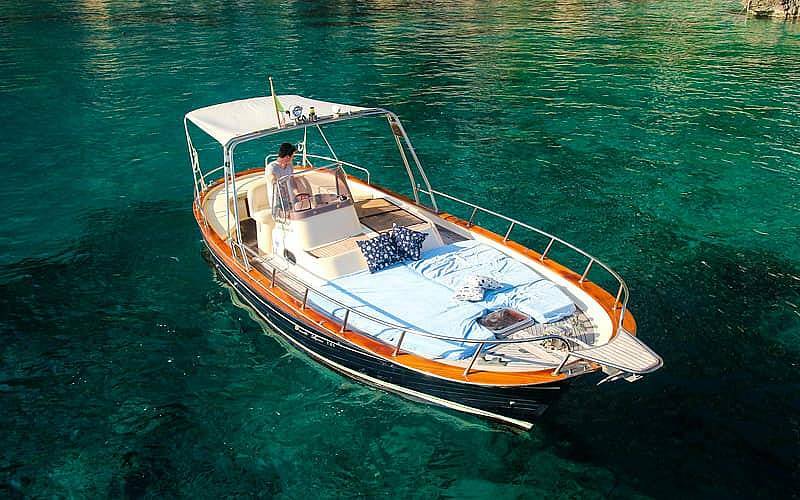 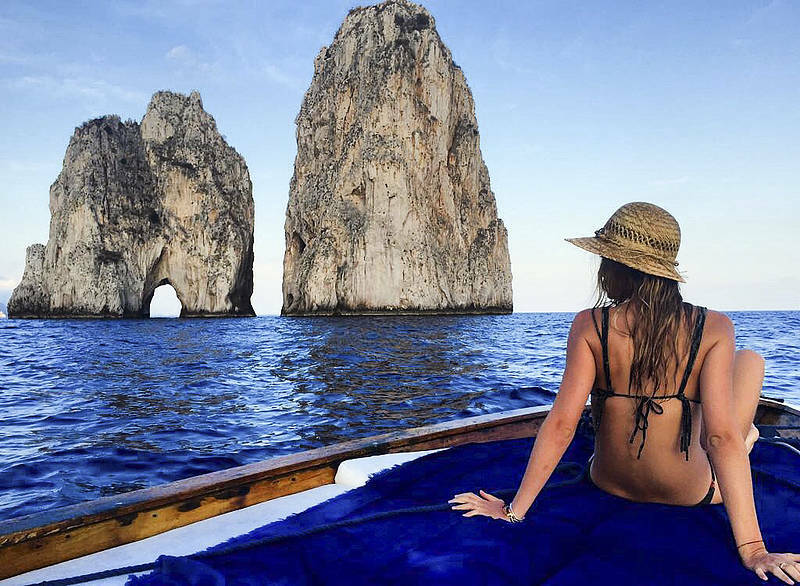 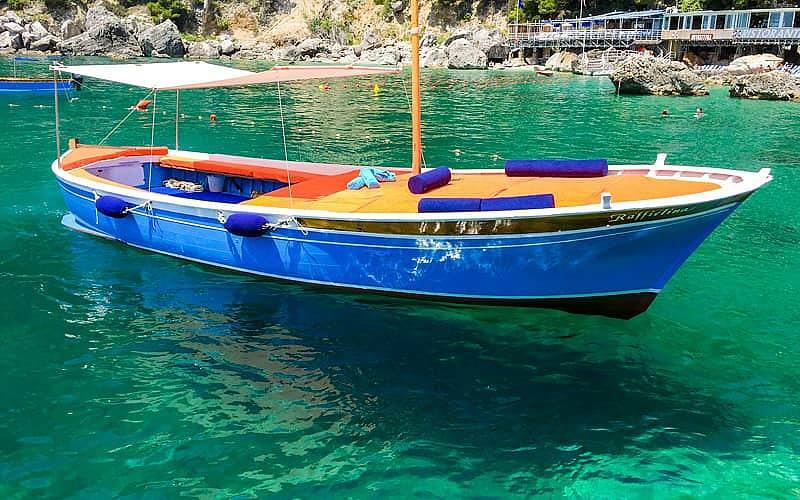 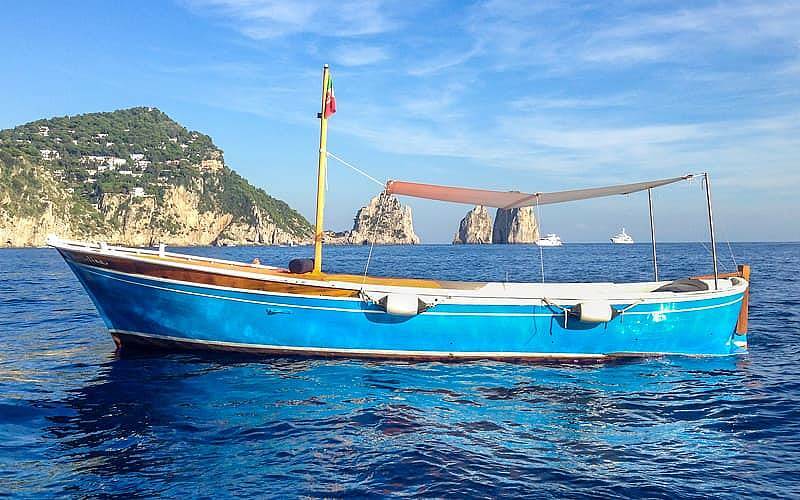 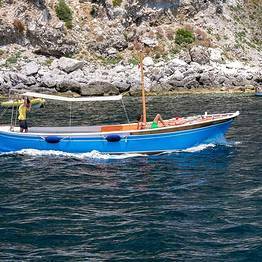 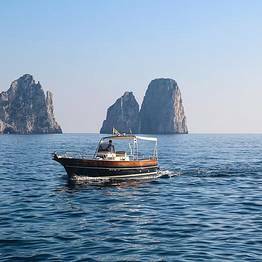 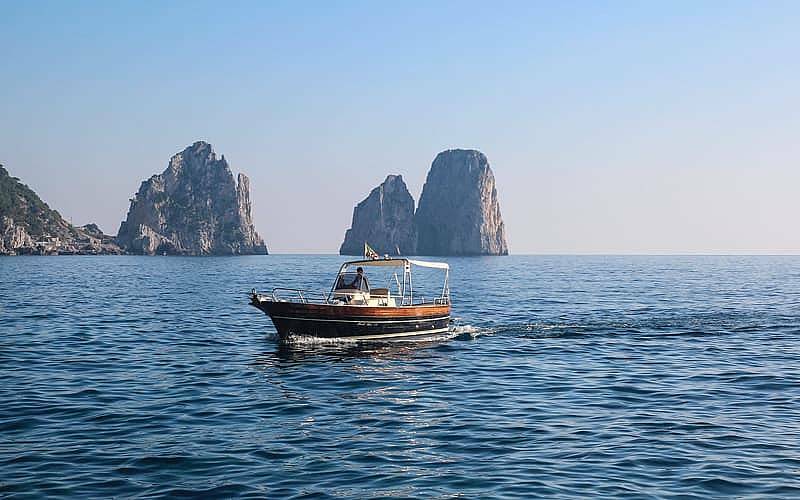 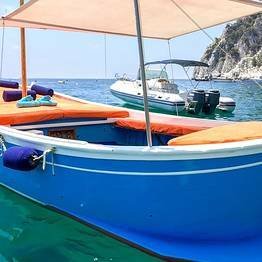 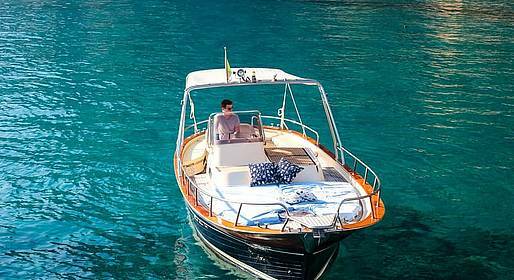 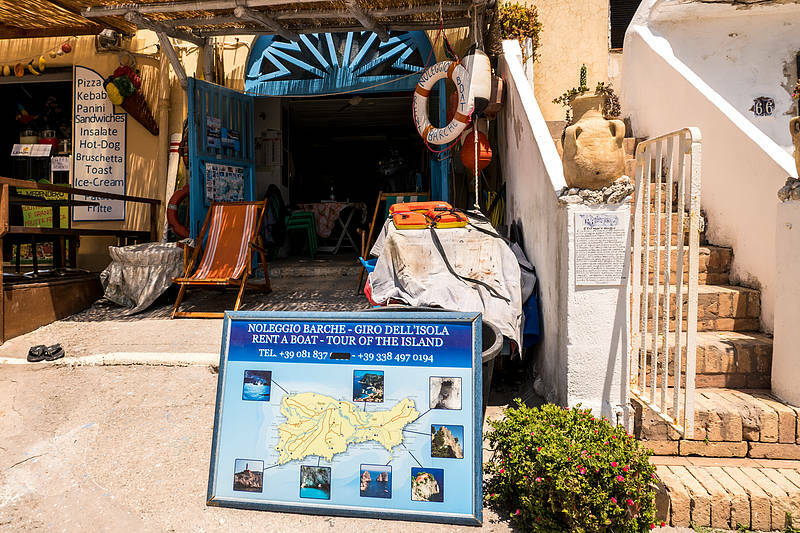 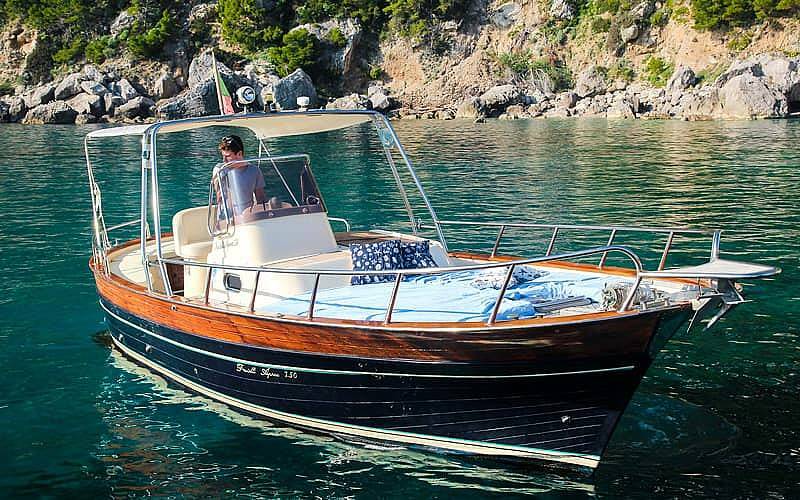 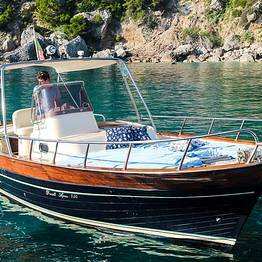 Spend a day discovering Nerano, Li Galli, Positano, and Amalfi by sea, with stops to swim in the waters off the Amalfi Coast on board a Fratelli Aprea gozzo boat captained by an experienced skipper. 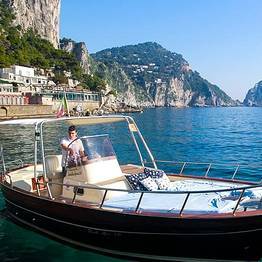 On board: bathroom, shower, towels, masks, and free minibar. 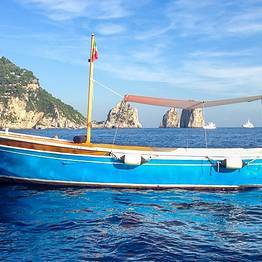 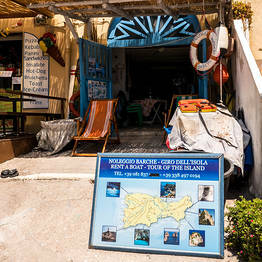 The meeting point is the Marina Piccola beach (Capri), near the Bar Merendero. 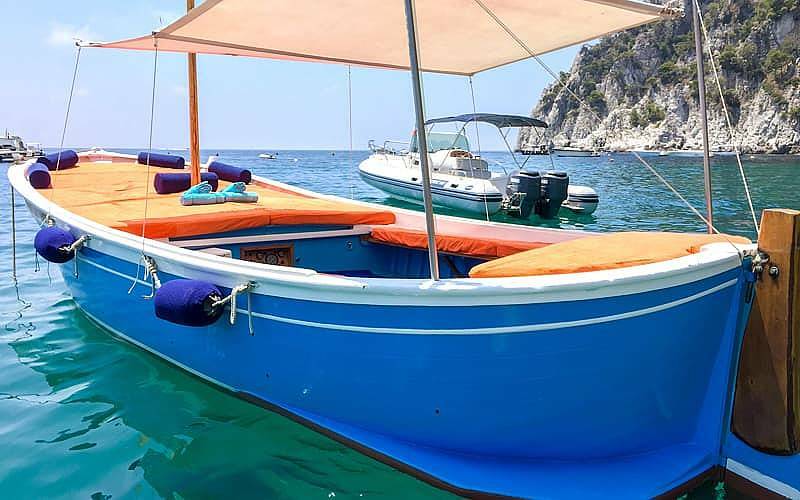 You can take the bus, walk, or hire a taxi from the Piazzetta to Marina Piccola. 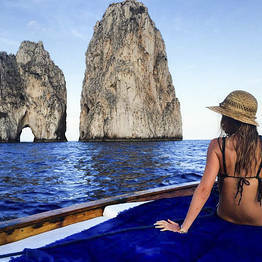 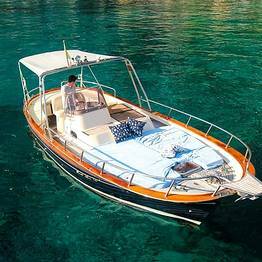 We can also depart from Marina Grande (the port on Capri) upon request.